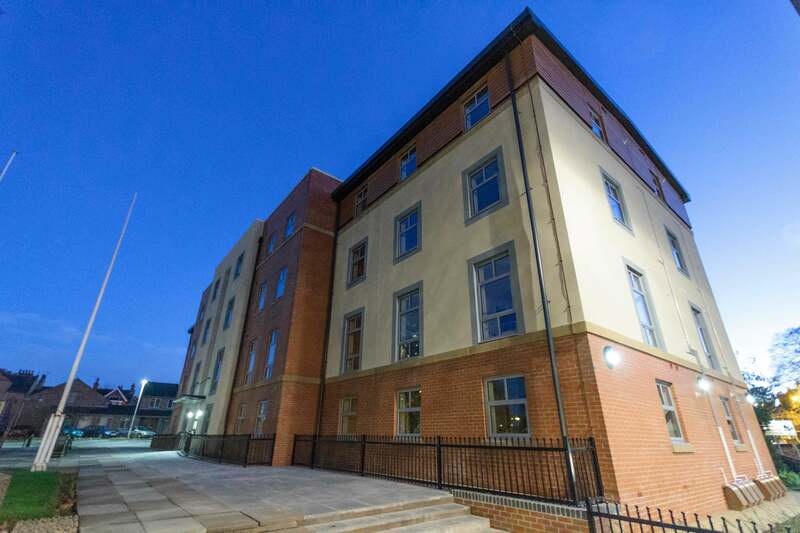 Centenary Square has developed 33 new build apartments, providing domestic accommodation for those over the age of 55. The project has been completed for Wales and West Housing and was partly funded by the Welsh Assembly Government. 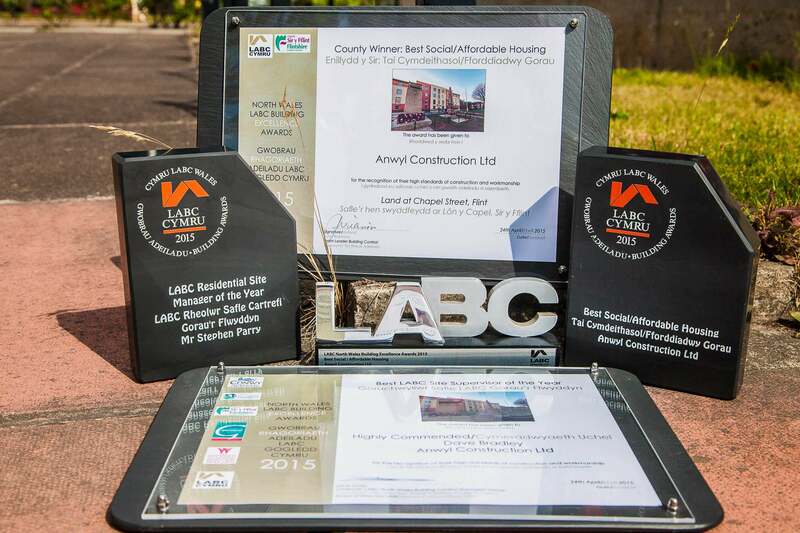 The development was named Best Social/Affordable Housing Scheme by the LABC. The former Local Authority Office site was reconstructed to develop Centenary Square; it has a total of three floors, and is constructed using traditional construction methods. Foundations consist of driven steel tubular piles, concrete cast in situ ground beams, brick and block work cavity walls and pre-cast concrete floors on all levels. The roof finish is a mixture of metal standing seam to the sloped area and single ply membrane to the flat roof areas. 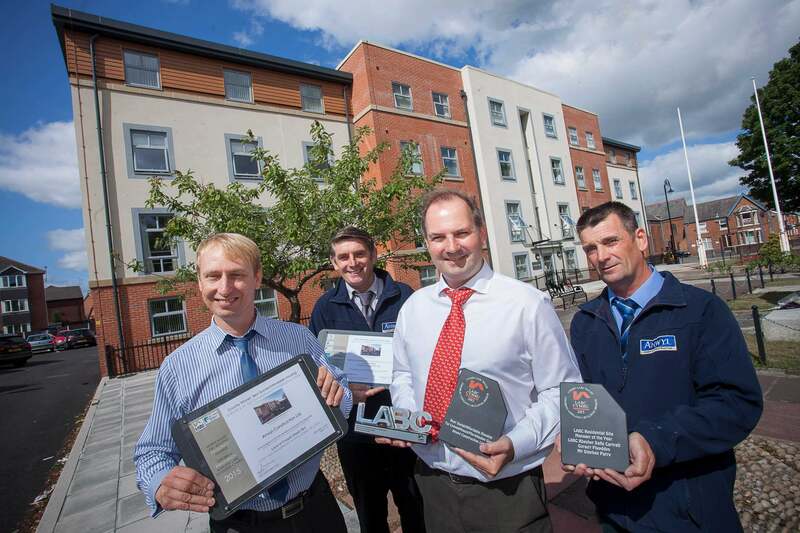 The project met Lifetime Homes standards, achieving a Code for Sustainable Homes Level 3+. The project was delivered in a BIM environment and utilised lean construction techniques which assisted in achieving a total of 80% of waste being diverted from landfill. 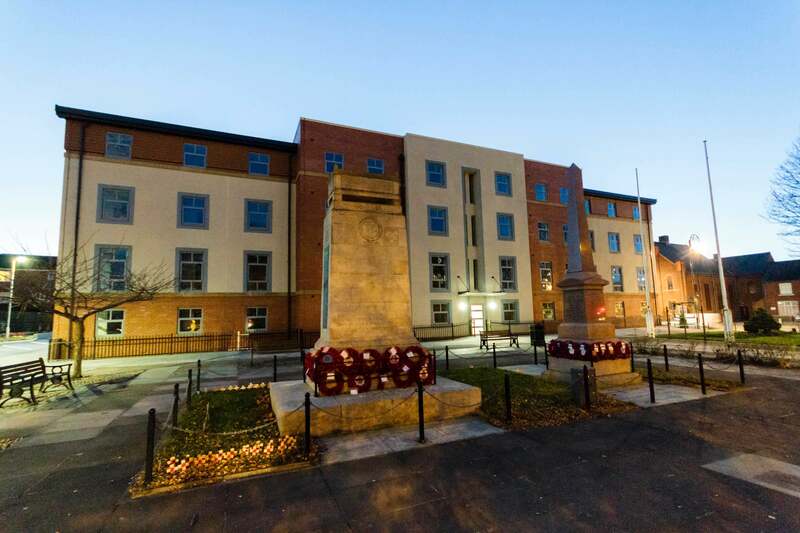 Due to the development being situated within the popular and busy Town Centre, Anwyl’s project team devised a programme which would minimise disruption to the local community and residents. In order to do so, Anwyl held a drop in meetings along with the Client, Wales & West at the local community centre, to gather local residents’ insight with regards to the times of the day they would least likely be impacted by the new construction. The feedback from these meetings helped to formulate this programme of works which resulted successfully in minimal daily disruption in the Town Centre. Newsletters were issued to local residents throughout every phase of construction to ensure the local community was aware of upcoming works and site news and developments. A total of 81% of subcontractors were based within a 45 mile radius of the site, and a total of 68% were based within 25 miles. For every £1 spent a total of £2.25 was reinvested back into the local community.